New home construction is operating at peak capacity, and new home sales are the hottest category in residential real estate today. Fannie Mae forecasts new home sales will grow by nearly 12 percent this year, compared to only 3.4 percent of existing sales. Builders will not reduce the price by the amount of the commission if you don’t use a buyer’s agent. The primary reason for that is to avoid any impact on future home sales (new homes have to be appraised for the purpose of financing). Furthermore, builders expect to pay buyer agent’s commissions, so they factor that into their pricing. The commission that was not paid will go straight into the builder’s profits. The builder salesperson will give the impression that the sale price is not negotiable. Although that may be true in some cases, there is always some leverage and builders may pay for closing costs or provide design upgrades. Timing can also be a significant factor. For example, if a new phase of construction is set to start, this can mean that the price of properties from the previous phase is about to go up. Reserving a property before that happens can mean significant savings. Negotiating for inventory that has been on the market for a while can also translate into a good deal. Realize there are always additional costs. A thorough understanding of what is and what is not an upgrade in that Model Home is challenging, but you can avoid some unpleasant surprises if you do that. How do you incorporate the best designs while maintaining your costs in check? 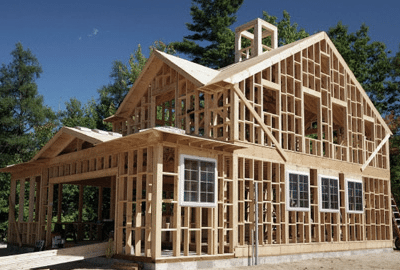 Learn about elements unique to the new home market, including architectural designs, blueprint reading, site design, construction methods and materials, etc. In summary, it’s a lot to factor in. A competent agent can help you maneuver through the maze and come out victorious at the end, with a brand new home that you will love. And the cost of that is included.